Here are a collection of phone data recovery enquiries that we’ve received over the last week. As with all mobile and smartphone recovery cases, we first direct readers to our general phone data recovery page which highlights the various information retrieval services we offer. 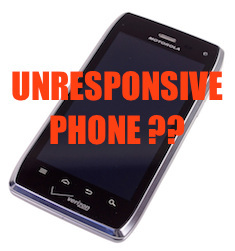 This page is then further subdivided in specific iPhone, Android, Samsung, Sony, Nokia / Windows phone recovery pages. If you have any questions please get in touch and we will be able to advise / assist. “We have a Nokia Lumia 635 which has suddenly stopped booting up. We have changed the battery but there is no difference. Can photos (and contacts) be retrieved from this? How much would it cost? No need to repair as have replaced. We can recover information from almost all types of lost data situation and can do far more with a phone than most other UK companies, especially high street shops. So if you’ve been told your data is not recoverable, get in touch, we may be able to rescue it for you. The cost of phone data recovery varies from case to case. Straightforward jobs are cheaper and cost from £95, more involved jobs that involve recovering the data directly by hooking into access points on the phone’s mainboard (JTAG), or reading the information straight from the memory chips (Chip-Off) cost around £295. Data Clinic have locations across the UK where you can take you phone. Alternatively you can send your phone to us, or book a free collection.